Generac’s standby generators provide the automatic backup power you need to protect your home and family during a power outage. Connected to your existing LP or natural gas fuel supply, it "kicks in" within seconds of determining power loss—automatically—and runs for as long as necessary until utility power returns. Generac’s Guardian Series lets you control your power, so life can go on. Discover how to take control of your power needs. I f your power goes out, your generator comes on – automatically. It’s really that simple. The generator system consists of a generator and transfer switch. The generator sits outside of your home or business just like a central air conditioner, while the transfer switch is located next to the main breaker box, and in some cases replaces it entirely. As experts in electricity, we are the preferred professional for backup generator installation. Our extensive knowledge of electrical systems allows us to provide the most cost effective installations. We are able to provide you with an in-home assessment that will correctly size the generator to your needs, and not solely by the size of your home. We are standing by with a solution to control your power in the event of an outage, so your life can continue uninterrupted. Enhance your Generac standby generator's performance with accessories from the leader in standby power. Products are available to maximize convenience and simplify maintenance for years of reliable standby power. Recommended products include Generac's Cold Weather Kit (download/view PDF here) and Extreme Cold Weather Kit (download/view PDF here). Generator Sizing Guide (download/view here). As Authorized Generac Dealers, our technicians at GT Electric are trained and certified to service and troubleshoot Generac Generators. 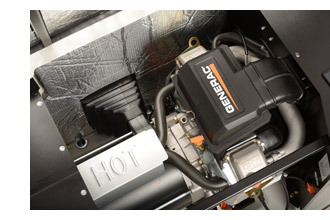 It is recommended that you sign up for our Generac Service Agreement program where our technicians perform annual service on your generator once or twice a year, preferably in the fall and spring. Your generator requires regular yearly maintenance to keep it operating at peak performance; and if minor problems are discovered during servicing, it can prevent costly problems in the future. Please contact our office at (203) 849-1316 with any questions regarding our Generator Service Agreements. 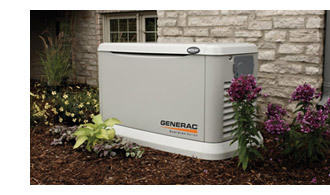 It is our hope you will consider us for your Generac Generator installation and service. Schedule your in-home consultation today by phoning us at (203) 849-1316 or, if after hours, simply click here to be taken to our contact form where you can leave us a message. We look forward to hearing from you. For over 25 years, GT Electric has been installing and servicing Generac Generators in most of the towns in Fairfield County, Connecticut and Westchester County, New York including Greenwich, Stamford, Darien, New Canaan, Westport and Norwalk.